Betty Pierce 88, of Marion, died peacefully early Saturday morning February 2, 2019 at the Brookdale Assisted Living in Marion. She was born December 17, 1930 in Marion County to the late George and Helen (Taylor) Schultz, she was also preceded in death by her husband Claude Pierce, they were married December 31, 1948 in Greenup, Kentucky and he died July 15, 2012. Also preceded her in death was brothers: Junior, Donald and Gerald Schultz, brother-in-law: Joe Nunez and sister-in-law: Bonnie Schultz. Betty attended 12 years of school at Waldo. She retired after 36 ½ years as a service rep for the former G.T.E. in Marion. She was a lifelong and dedicated member of the Fulton Creek Friends Church, where she served many years as an elder and taught Sunday school. Her goal in life was to serve God while serving others. Betty had a mission to visit people in rest homes, she spent many afternoons at the Community Health Care Center in Marion just being with people. Betty volunteered at Care-Line, where she tutored adults at the Harding high School. 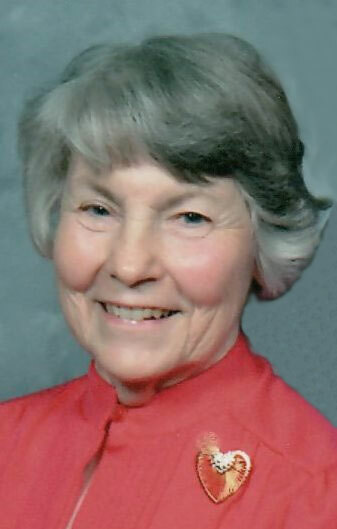 She also had served as secretary for the “Friends of the Marion Library” for several years. Betty was a dedicated election poll worker for many years and also had volunteered at Marion General Hospital. Memorial gifts may be made to the Fulton Creek Friends Church at 10950 Fulton Creek Rd. Richwood, Ohio 43344 and or the Kindred at Home Hospice, 1199 Delaware Ave #102a, Marion, OH 43302. I am so sorry to hear of your loss. I remember her as a pillar of Fulton Creek that I always expected to see. She was always so sweet to me and had a beautiful smile. So sorry we are unable to be with the family to share our condolences. Betty was an all round gracious lady and loving friend to all she had occasion to know. We all know she is in paradise now. To the entire Schultz family, I am sorry for your loss. I will keep you in my thoughts and prayers. My prayers and thoughts are with your family and church family. Going to miss you so much. Now, you can live with your wonderful Savior and not "Just imagine". Love you and miss you, Alice, Patrick, and Timya. We send our sincerest sympathy to all the Schultz family. Betty was a kind and caring person. May your family memories of her always remain in your hearts. This year has seen three family members pass with in a very short time. God called these three to Heaven quickly in the new year. My deepest sympathy to your family at Betty's passing. Betty is at peace with her Lord and Savior. Betty was truly the sunshine and soul of Fulton Creek Friends, 8 never heard her utter a bad word about anyone, she was Mom and Dads Sunday school teacher for years and years, a sweet kind lady who took my daughter under her wing and covered her in prayer! She is Home now, no more pain, we are rejoicing, the saint ate marching Home! Betty always greeted us with a big smile, kind words and a big hug. Always bubbly and joyful. Her love for Jesus was evident. It shone through her. She will be missed. Heaven gained an angel.